Secular Franciscans strive to bring the Gospel to life in their everyday lives, inspired by St. Francis of Assisi. They are active in a range of charisms -- from prayer and meditation to volunteering in parish ministries to tackling issues of Justice, Peace and Integrity of Creation. Secular Franciscans gather in fraternity, regarding one another as brothers and sisters in a family that supports, spurs and inspires. 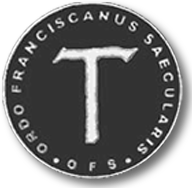 The Secular Franciscan Order (Ordo Franciscanus Saecularis) is recognized by the Roman Catholic Church as an integral part of the Franciscan family. After undergoing several phases of formation, Secular Franciscans make a permanent profession to live their Franciscan Rule and bring the Gospel to life and life to the Gospel. St. Joseph Fraternity is one of some 27 fraternities in the St. Kateri Tekakwitha Region, covering most of upstate New York and northwestern Pennsylvania. The region is one of 30 in the United States, whose representatives comprise the National Fraternity (NAFRA). The Order's international headquarters is in Rome, Italy. St. Joseph Fraternity gathers at 2 p.m. on the third Sunday of the month in the St. Joseph-St. Patrick Parish Center at Columbia and Varick streets, Utica. In addition, initial and on-going formation sessions are offered in between the monthly gatherings. 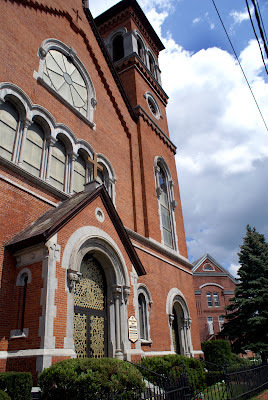 Members belong to parishes throughout the greater Utica area, and are active in a variety of ministries, serving as, for example, lectors, Eucharistic ministers, CCD teachers, soup kitchen volunteers, Eucharistic Adoration Chapel participants, crisis pregnancy center supporters. Members of the fraternity were part of the organizing committee that founded Mother Marianne's West Side Kitchen, and a fraternity member co-founded the 24-hour Adoration Chapel. Both ministries are located at St. Joseph-St. Patrick Parish.